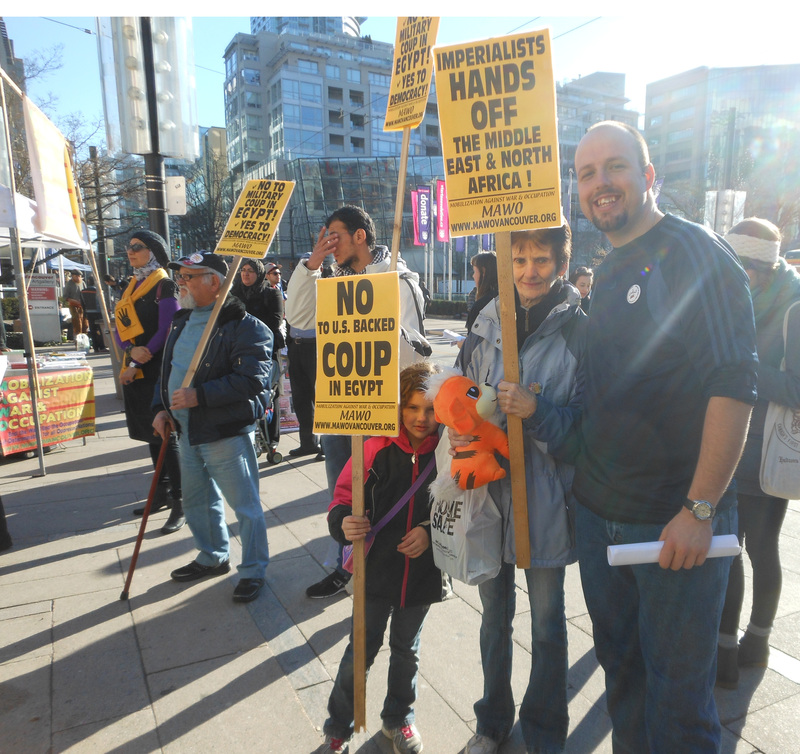 January 25th saw important back-to-back rallies in Vancouver against imperialist intervention in the Middle East and North Africa. 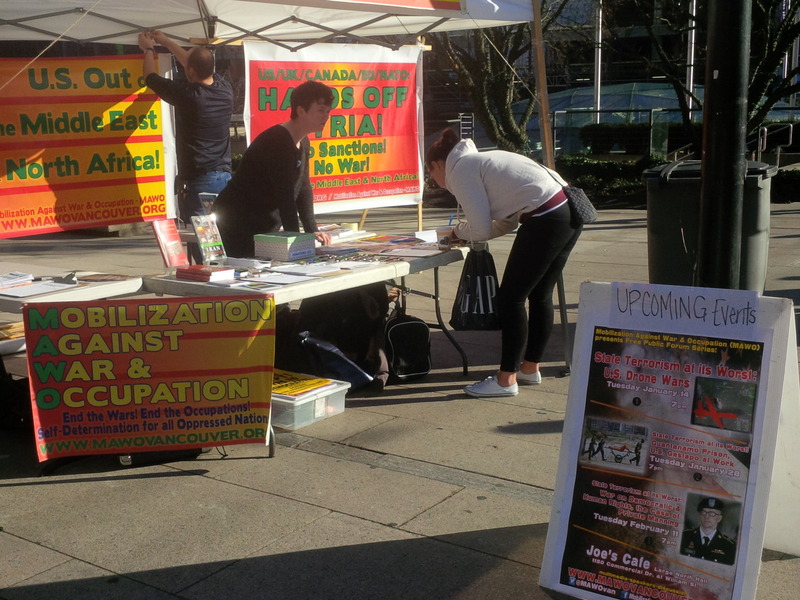 Vancouver's anti-war coalition, Mobilization Against War and Occupation (MAWO), played an active role in both actions. 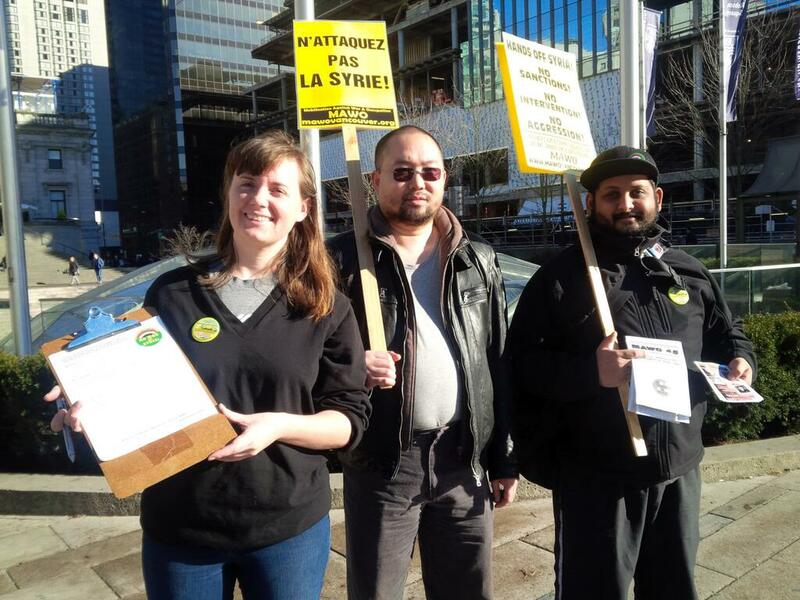 MAWO organized its monthly anti-war rally and petition campaign, as well as endorsed and actively participated in a rally organized by Egyptian Canadians for Human Rights. This rally was part of a Global Day of Action marking the 3 year anniversary of the uprising which overthrew US backed dictator Hosni Mubarak, and in solidarity with the current struggle against the following military coup. MAWO also set-up a large banner on the main stairs of the Art Gallery which said, “US/UK/UK/France/Canada OUT of the Middle East and North Africa NOW!” This banner remained as part of the protest organized by Egyptian Canadians for Human Rights as part of an International Day of Action which in Canada also took place in Toronto, Montreal, Winnipeg, Ottawa, Edmonton, and Calgary. The protests marked the third anniversary of the overthrow of US backed dictator Hosni Mubarak by a heroic mass movement. However, the Egyptian people are still on forced to face violence and intimidation as they protest in the streets against last year’s US-backed military coup against democratically elected President Mohamed Morsi. 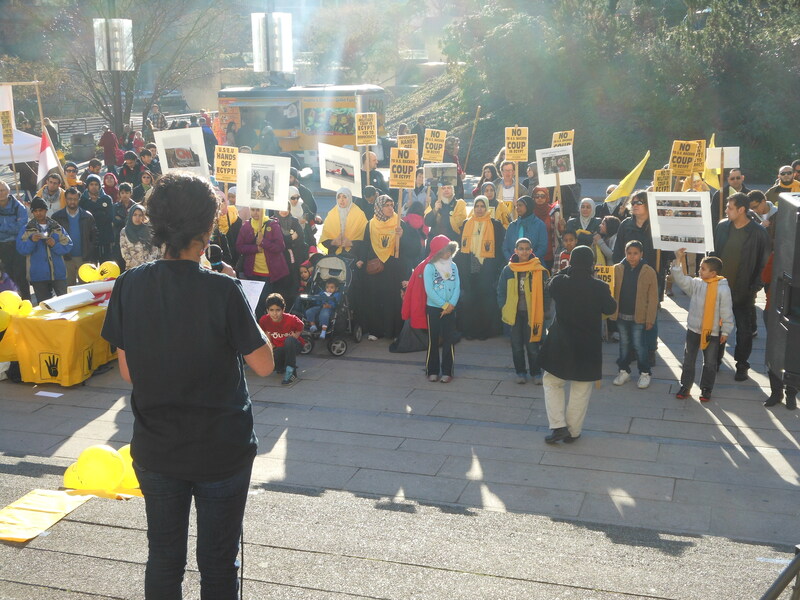 The rally was MC'd by Egyptian Canadians for Human Rights organizer Tarek Ramadan, and included local Egyptian speakers who spoke of family members tortured and killed by the military, and of the ongoing struggle in Egypt for human rights and against foreign intervention. 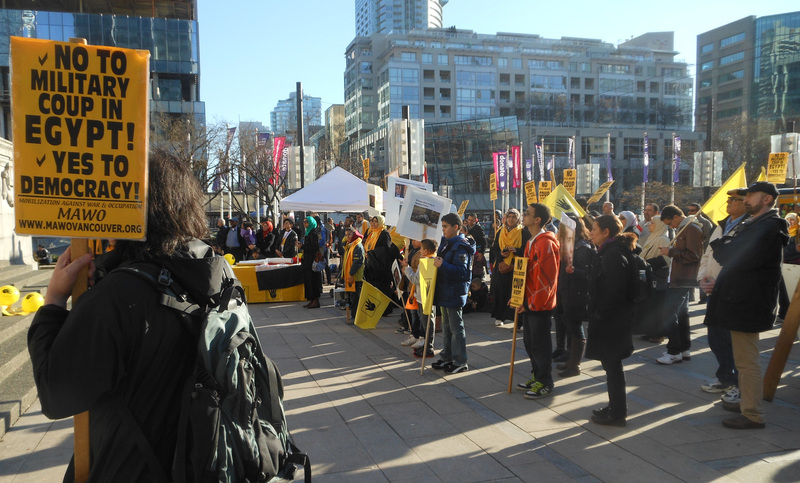 CBC News was present, and the rally was featured on that evening's news. Across the Middle East and around the world, the tanks of imperialist armies roar through neighbourhoods while fighters jets thunder overheard. Since 2001, a new era of war and occupation has had a bloody grip on the planet, but it is obvious that oppressed people have not given up. 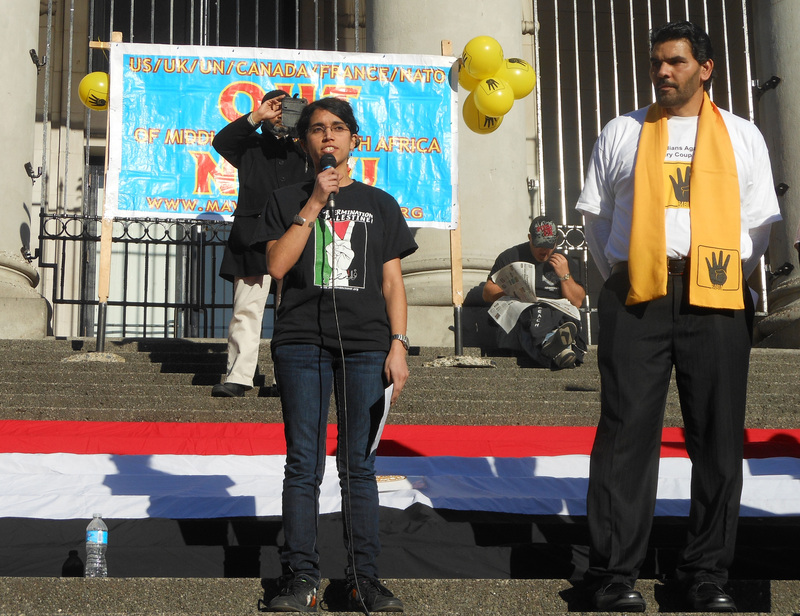 MAWO continues to play an active role in educating, organizing, and mobilizing in solidarity with oppressed people fighting every day for the dignity and self-determination. 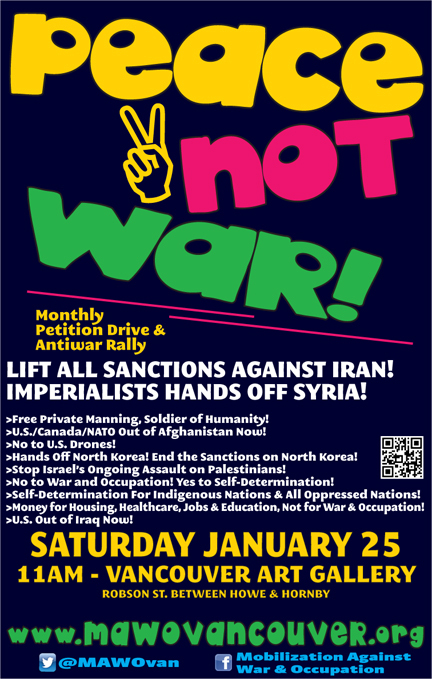 No to War and Occuaption! Yes to Self-Determination! 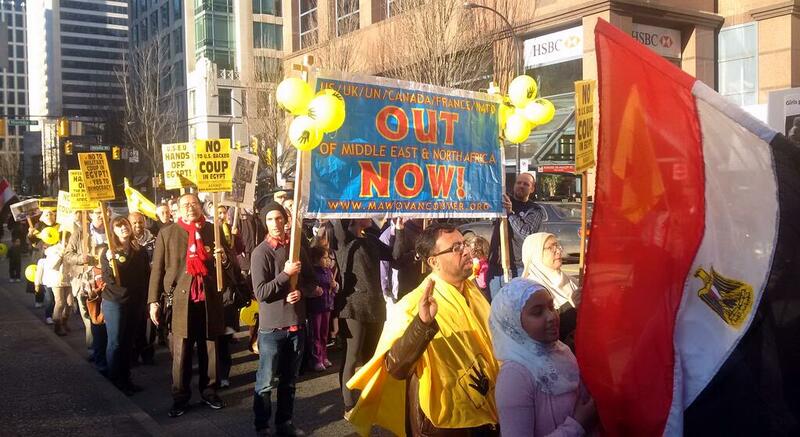 Imperialist Hands off the Middle East and North Africa! 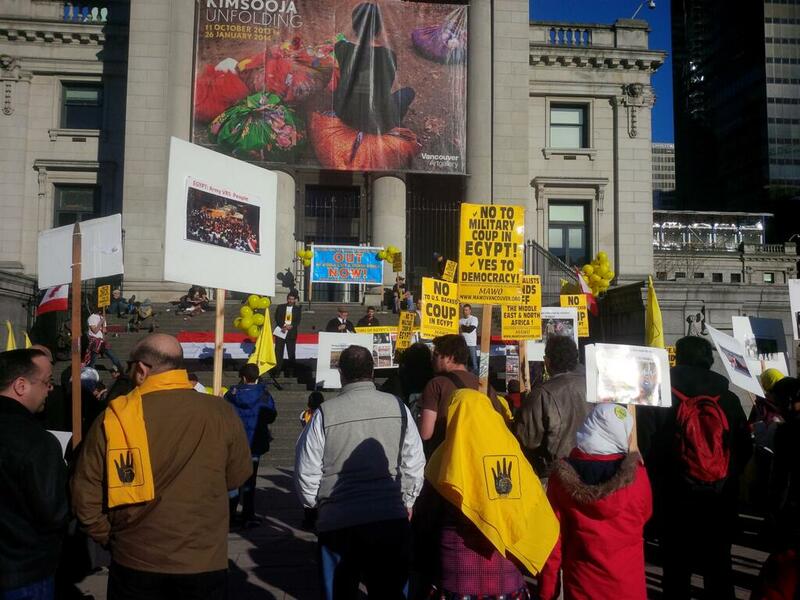 See CBC news coverage of the Rally for Egypt!